Cape Verde (or Cabo Verde) is an island country of 10 volcanic islands in the Atlantic Ocean. It is situated about 350 miles (or 570 kilometers) off the coast of Western Africa. The islands cover area slightly over 1,500 sq mi (or 40,000 sq km). The Republic of Cabo Verde gained its independence in 1975 and the African Party of the Independence of Cape Verde (PAICV) was established. This one-party system ruled Cape Verde till 1990. PAICV had to call an emergency congress to make constitutional changes and end one-party rule as a respond to growing pressure for pluralistic democracy. Opposition groups formed the Movement for Democracy (MPD) and together with PAICV they campaigned for the right to contest the presidential elections. First multi-party elections were held in January 1991. MPD defeated PAICV with 73.5% of the votes, thereby it marked the first democratic elections. 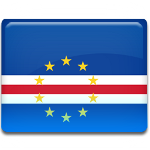 Democracy Day was introduced to celebrate this important event in the history of Cape Verde.